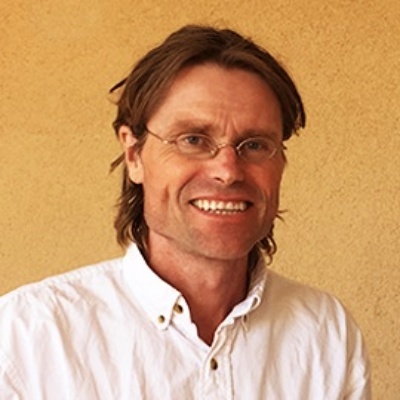 For the 2017-18 academic year, the Cournot Centre's Scientific Team has decided to finance an original research programme on volatility led by senior researcher Knut Sølna (University of California at Irvine). Knut Sølna’s main research interest involves problems with multiscale structure and uncertainty. During his Senior Research Fellowship year in France, he will work on several problems that concern modeling in terms of dynamic systems driven by multiscale processes. He will particularly focus on inefficient markets. He will study the detection of inefficiency through data analysis, as well as descriptions that give a consistent mathematical characterization of such markets. He will focus in particular on markets with a turbulent character. Prices, for example, have a complex statistical structure of a kind also seen in complex turbulent physical systems. He will also consider to what extent regime changes and such market behavior can be understood in terms of endogenous development and/or institutional changes. Knut will also work on issues related to “physical turbulence” in the context of describing wave propagation through very complex media. This work can be applied to imaging, and, in particular, passive imaging using cross correlations of incoherent waves. He is particularly interested in the situation in which the lack of wave coherence originates from ambient noise sources (or sources of opportunity) and from the complexity of the medium. Knut Sølna is a Professor in the Department of Mathematics at the University of California at Irvine. He received his undergraduate and Master's degrees from the Norwegian University of Science and Technology and his doctorate from Stanford University. He was an instructor at the Department of Mathematics, University of Utah, before coming to Irvine. His research has been funded by the Office of Naval Research (ONR), the Defense Advanced Research Projects Agency (DARPA), the National Science Foundation (NSF) and the Air Force Office of Scientific Research (AFSOR). He received the Shell Award for his Master's degree, including an audience with the king of Norway. A recipient of the the Norsk-Hydro Award for his Ph.D., Sølna also holds a Sloan Fellowship award. The Cournot Foundation awarded up to five Robert Solow Postdoctoral Fellowships each academic year from 2003/2004 to 2016/2017 to researchers of all nationalities. The Cournot Centre’s Scientific Team chaired by Robert Solow selected the postdoctoral fellows based on their applications.